You’re unable to track this Purrsuit, so many players were left feeling a bit confused as to what to do with it. 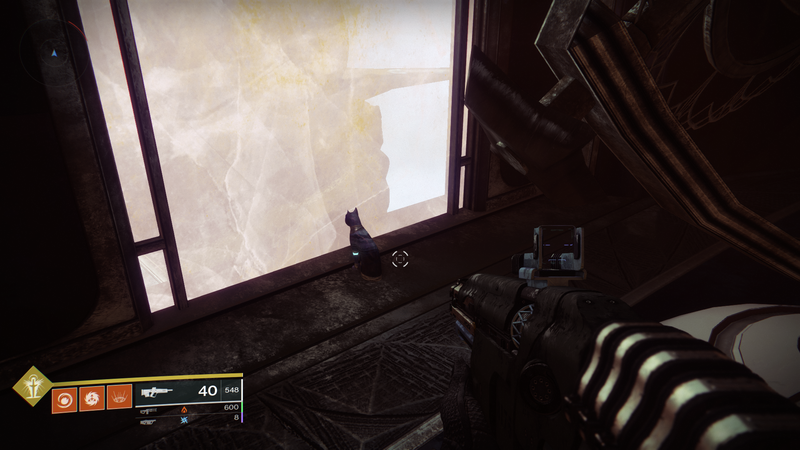 Worry no more, Destiny players, for we have found the answer: cats. 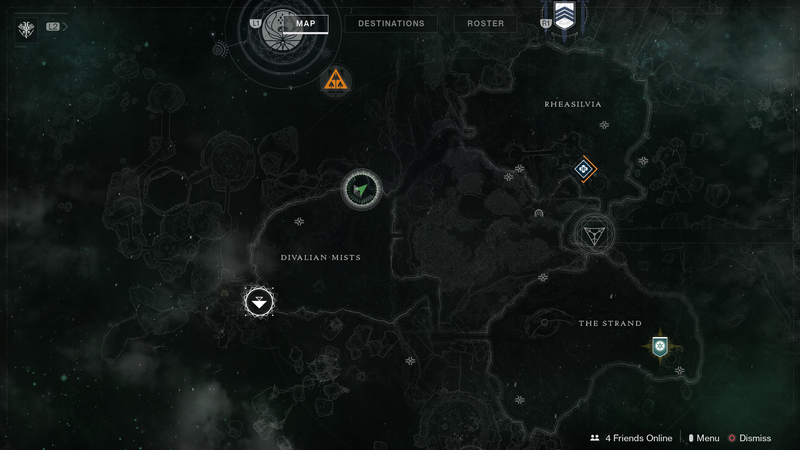 Eight cats, to be specific, that are scattered across the Dreaming City map. 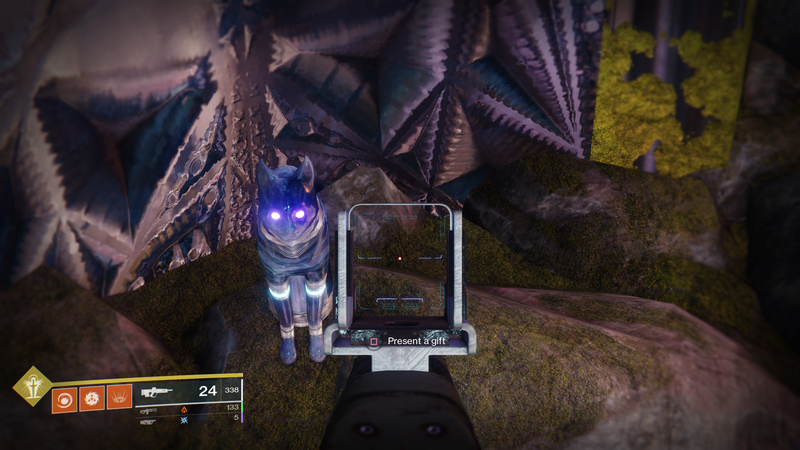 You’ll need to do a fair bit of jumping around and searching for these shiny yet elusive moggies, but once you do find them they’ll drop pretty decent Legendary gear. 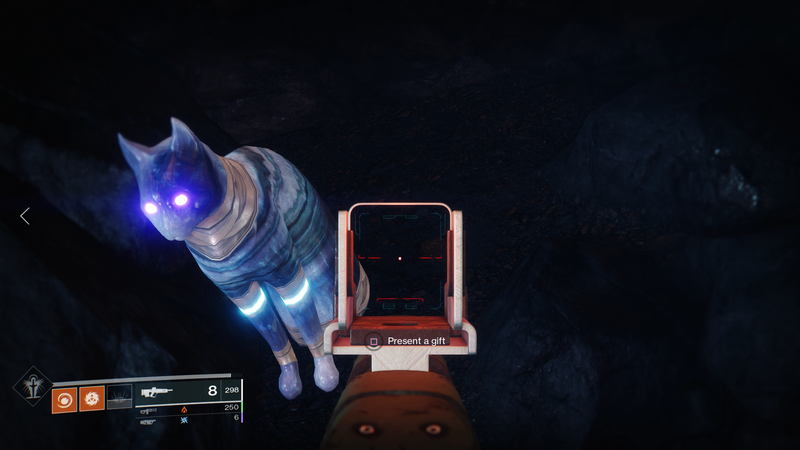 Finding these cats will contribute to the Secret Secrets bouty from Petra Venj, as well as finding any chests while the Ascendant buff is active or completing Corsair Down missions. Head to the opening in the rocks you’d use to go to the Spine of Keres and look over the edge. 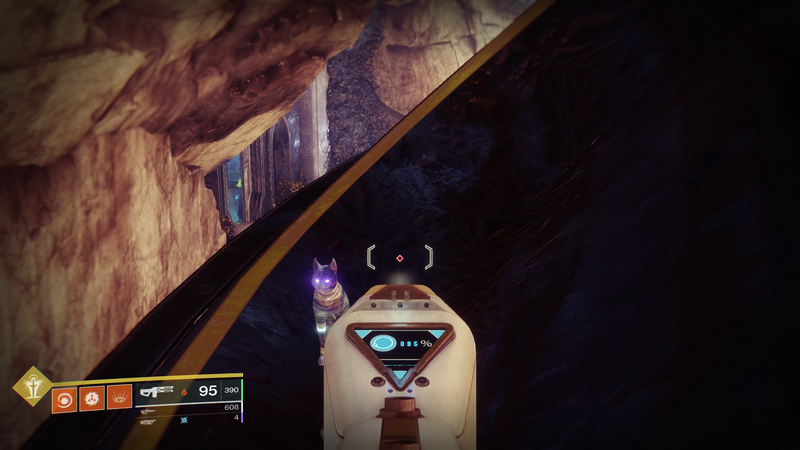 There are a few ledges you can jump down and if you stick to the right you’ll eventually reach a cave where you’ll find the first kitty. 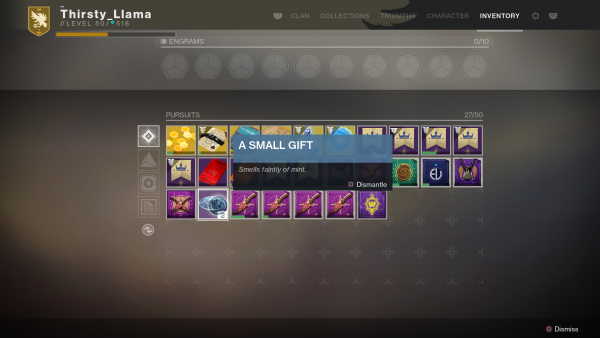 Present the Small Gift to it and it’ll let out a little meow and disappear, leaving behind some loot. 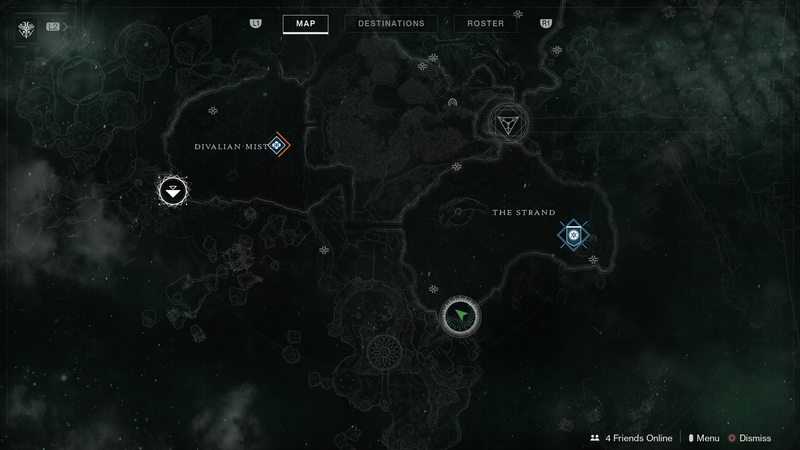 Head over to the West of the map in Rheasilvia and head to the base Petra Venj occupied at the left of the cave exit. You’ll be jumping to the rocks directly across, then over to the ones on the right. Follow the rocks up and round to the left and jump across platforms. You’ll then want to jump to the cliff edge on the right and scale the wall until you find a large crystalline structure with a kitty at the bottom. You’ll find the next cat in the Northeast of the map. 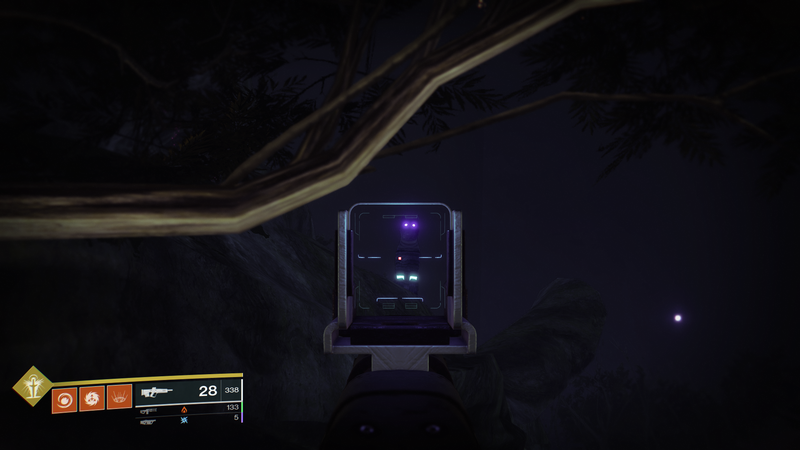 You’ll want to head into Harbinger’s Seclude and work your way through the rooms until you find a room with a fluorescent tree in it. A kitty will be perched on top, waiting to be found. This cat isn’t very far away from Cat 3, so come out of the tree room and head right outside. Just as you exit the building, turn to the left where there are some rocks beside the purple building. You’ll want to jump up on the room and follow its edge right round to the left to find the next cat. Getting around the pillars and be a little tricky and needs some patience and be mindful of the out of bounds countdown if you go too far up the roof. 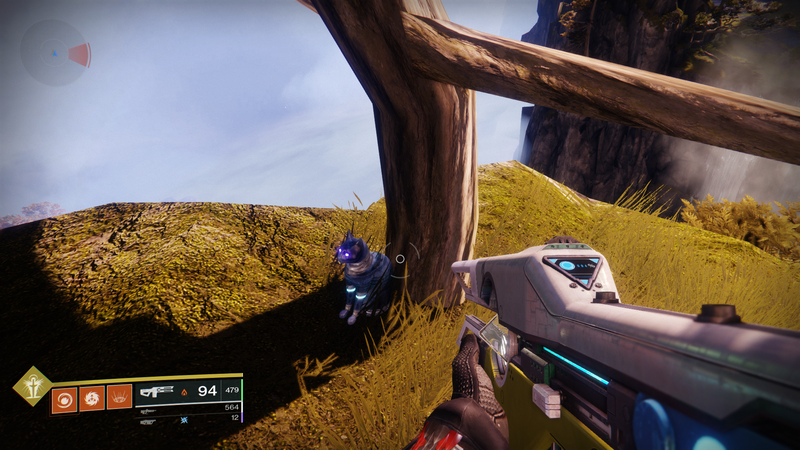 Our fifth furry friend is in the Gardens of Esila in the very South of the map. Head into the Garden, hugging the wall on the right. At the second circular plate, there should be two rocky hills; you’ll want to climb the one on the right. At the top, there will be a friend waiting for you under a tree. Our next cat is in a similar location. Again, you’ll want to head up to where the entrance to the Gardens is. Go over to the balcony and start to climb the rocks on the right. 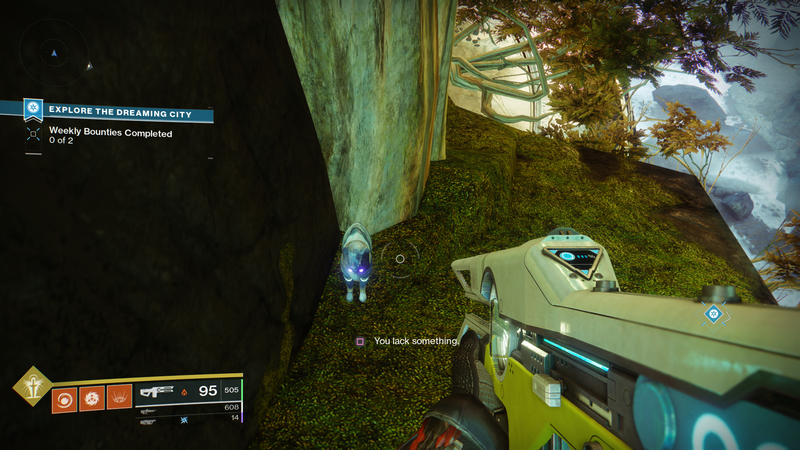 After two or three jumps, you’ll see another kitty just behind the rock face. To find this kitty, take a left at the purple bridge instead of heading into the Oracle building. Follow the stairs and the paths round until you get to a large geode-like structure with a dip in the middle. Jump up, and you’ll find that the kitty is hiding just on the other side of the dip in the bushes. Our final cat can be found in the Oracle building. You’ll want to jump up to each level unto you reach the one that overlooks the entire room. On the right, there is another such platform. 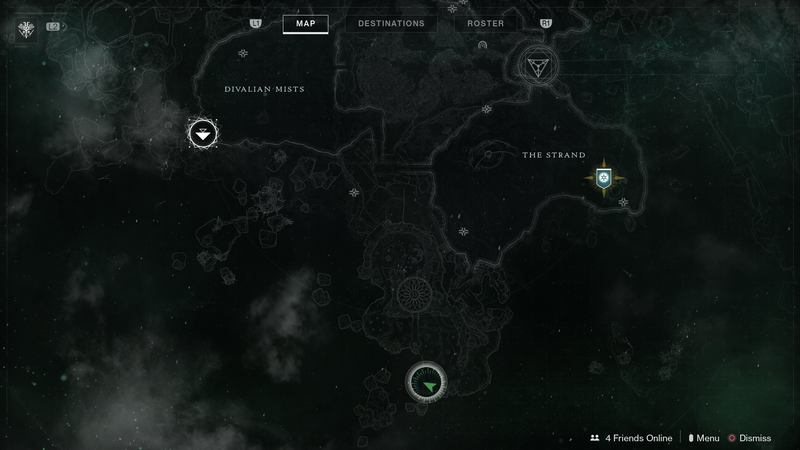 You’ll have to jump across to reach it, using the rotating platform of the Oracle structure if you need to. Once you’re across, turn right down the corridor to find the last cat staring out the window. 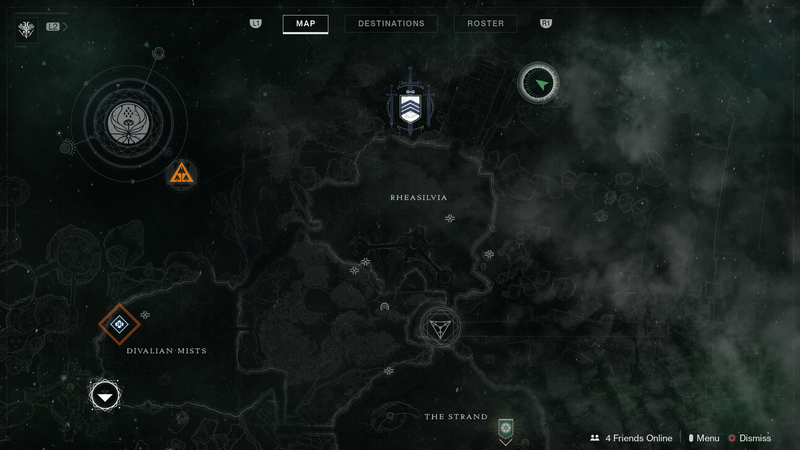 You’ve now found all eight of the Dreaming City cats! 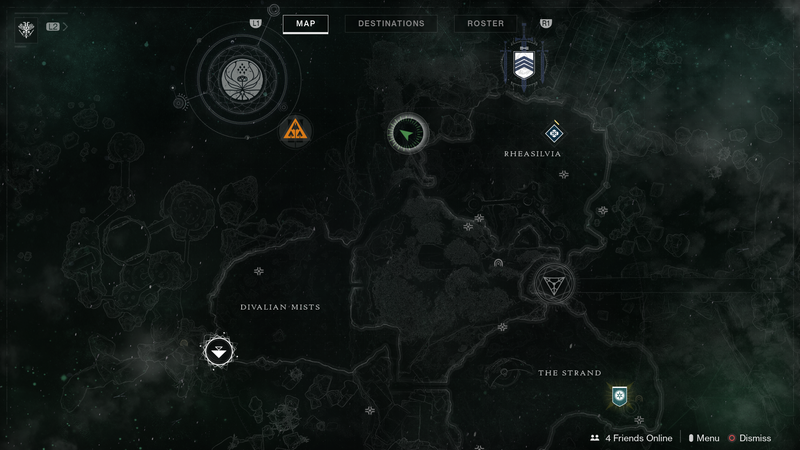 Hopefully, you’ll receive some good gear in the loot drops, including Reverie Dawn gear and a few interesting weapons. 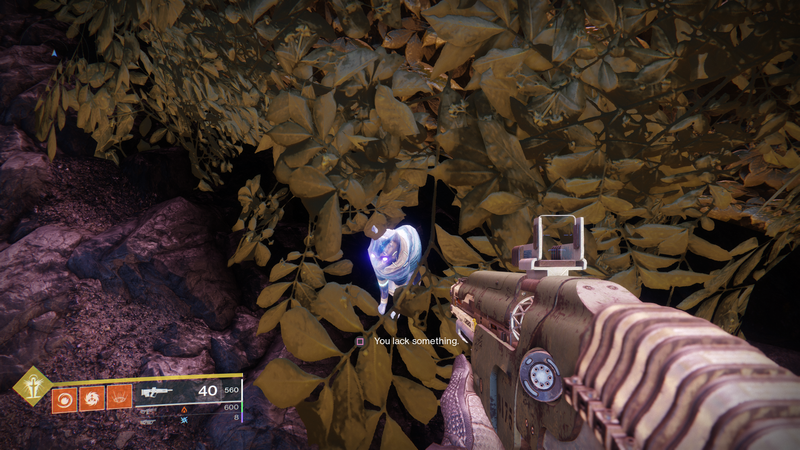 It’s good to have some silly fun back in Destiny 2: Forsaken after the seriousness of the last few weeks. 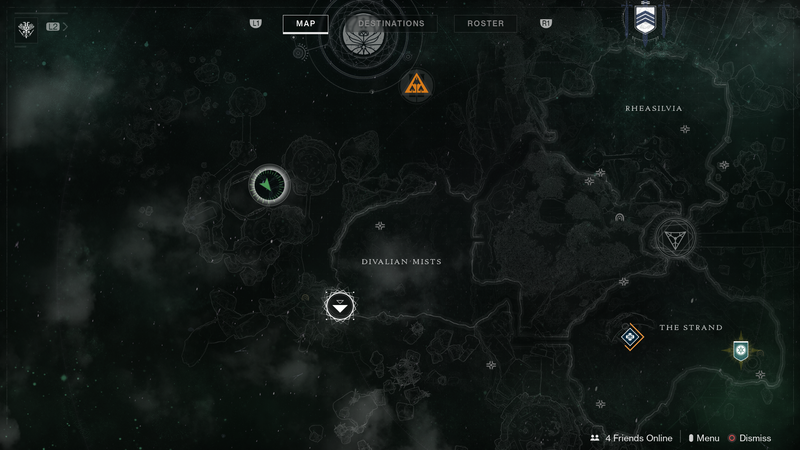 For all things Destiny 2: Forsaken, check out our ultimate guide here. 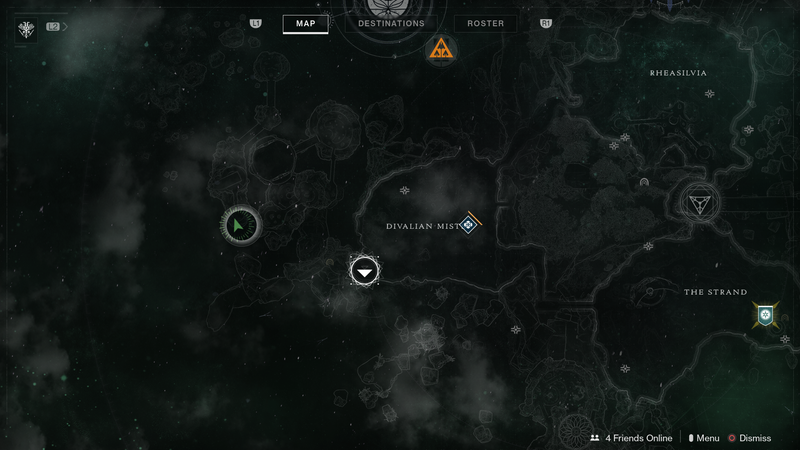 Want to boost your Power and reignite the and get ahead in Gambit Prime? 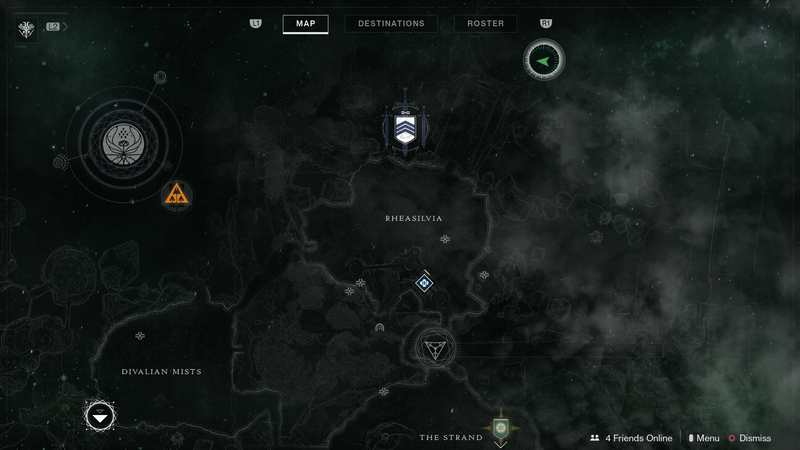 Then check out our Destiny 2: Gambit Prime and The Reckoning guide.